Plastic & Reconstructive Surgery - Jason H. Pomerantz, M.D. 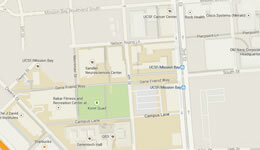 Plastic & Reconstructive Surgery » Faculty » UCSF Benioff Childrens Oakland » Jason H. Pomerantz, M.D. 1994-2000 Albert Einstein College of Medicine, M.D. Jason Pomerantz, M.D. is an Associate Professor of Surgery, Surgical Director of the UCSF Craniofacial Center, and Director of the Pomerantz Lab. Dr. Pomerantz is an expert craniofacial surgeon specializing in pediatric plastic and reconstructive surgery and repair of craniofacial anomalies. He treats children and adults with congenital or acquired deformities, especially the head and face, including cleft lip and palate, craniosynostosis and traumatic facial injuries. Dr. Pomerantz earned his medical degree at the Albert Einstein College of Medicine. He completed a residency at UCSF, a postdoctoral research fellowship in regeneration biology at Stanford University, and a fellowship in craniofacial surgery at the University of Washington. As a physician-scientist, Dr. Pomerantz is exploring ways to address problems that cannot be treated surgically, such as amputations and lost heart muscle. A major focus of his research is to understand why primitive organisms such as newts and salamanders have the ability to regenerate limbs, while humans and other mammals do not. Dr. Pomerantz is a researcher at the UCSF Program in Craniofacial Biology (PCB), and has affiliations with the UCSF Biomedical Sciences (BMS) Graduate Program, and The Eli and Edythe Broad Center of Regeneration Medicine and Stem Cell Research at UCSF. His scientific collaboration with the Blau Laboratory, Baxter Laboratory for Stem Cell Biology at Stanford University, resulted in a paper in the journal Cell Stem Cell that has garnered considerable public interest. (see also First Steps in Unlocking the Human Ability to Regenerate). Ultimately, Dr. Pomerantz and colleagues hope to identify the genes responsible for regeneration, genes that have evolved differently between species. This has implications for the reconstruction of damaged or missing tissue resulting from congenital abnormalities and those acquired as a result of trauma. The research program of our lab is closely intertwined with regenerative medicine. With foundations in muscle and cancer biology, we are investigating regenerative mechanisms including stem cell development and de-differentiation. By employing model organisms such as zebrafish and mouse and extending discoveries to human cells and tissues, we hope to gain fundamental insight that can be translated into clinical advances, most notably solving the structural and reconstructive problems of the limbs, face, and head, whether congenital or acquired. Publications provided by UCSF Profiles, powered by CTSI at UCSF. View profile of Jason H. Pomerantz, M.D. A research group at Stanford University, led by Helen M. Blau, Jason H. Pomerantz (pictured left), now an Assistant Professor of Surgery in the Division of Plastic and Reconstructive Surgery at UCSF, and Kostandin V. Pajcini, has, as reported by the NY Times, "taken a possible first step toward unlocking the human ability to regenerate. By inactivating two genes that work to suppress tumors, they got mouse muscle cells to revert to a younger state, start dividing and help repair tissue."